I passed the milestone in the afternoon while leaving Barcelona. 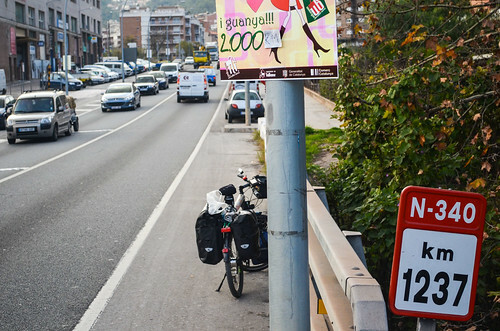 I won 2000 km and the right to continue. I was struggling for 30min with 1 bar of 2G network just to post this.